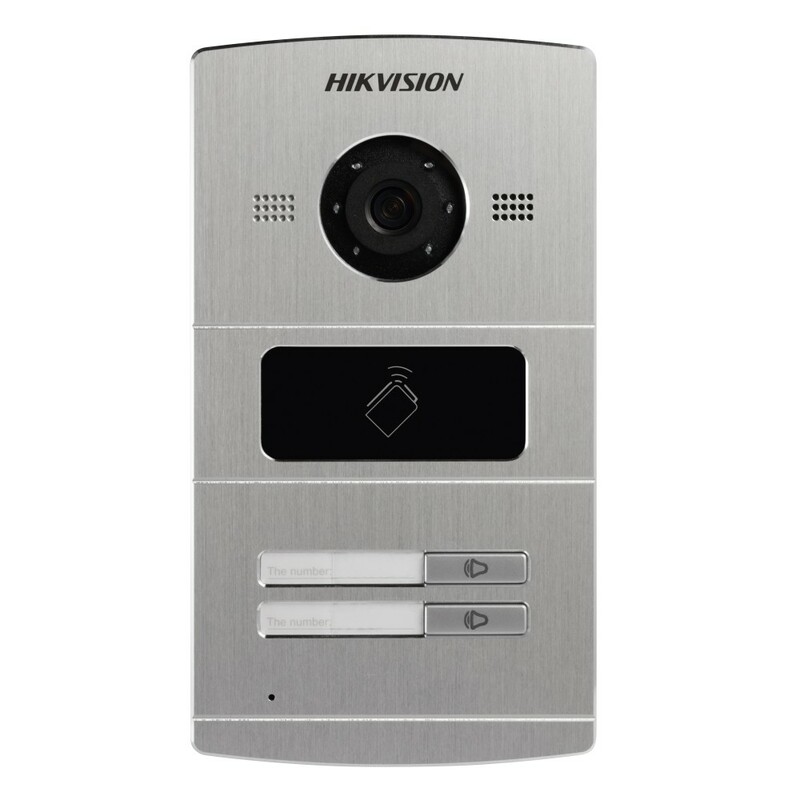 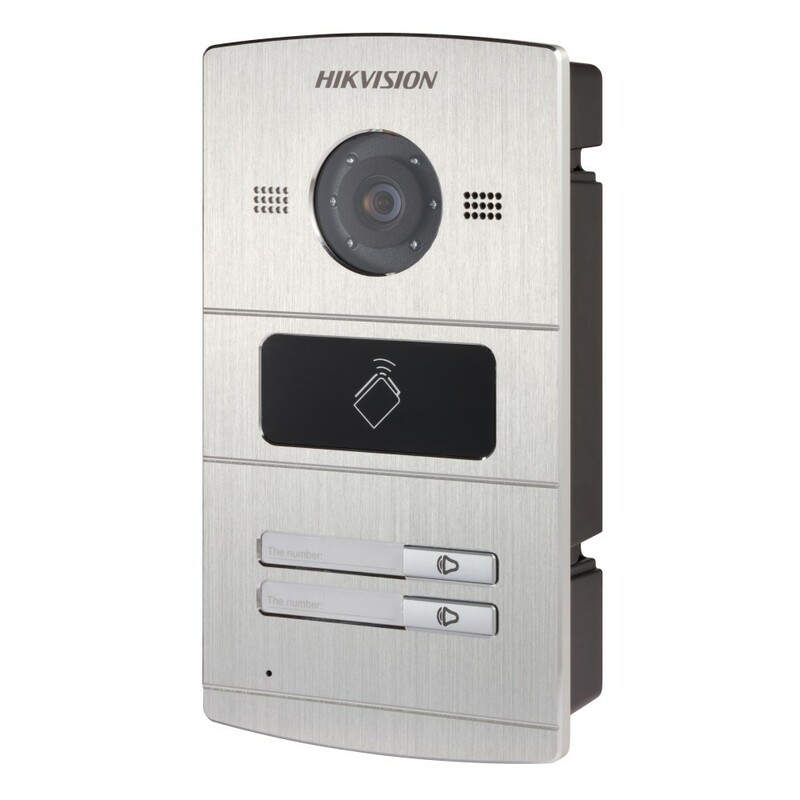 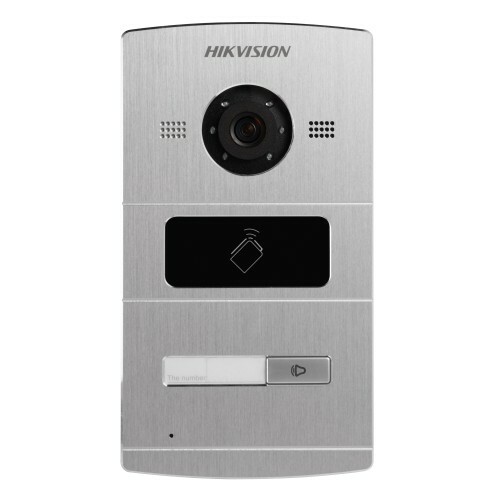 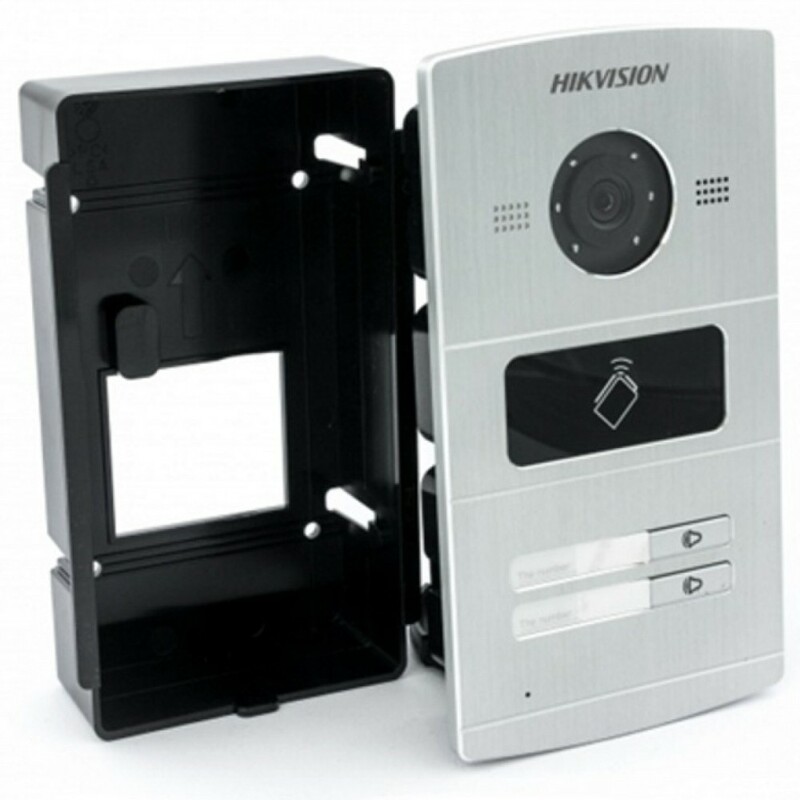 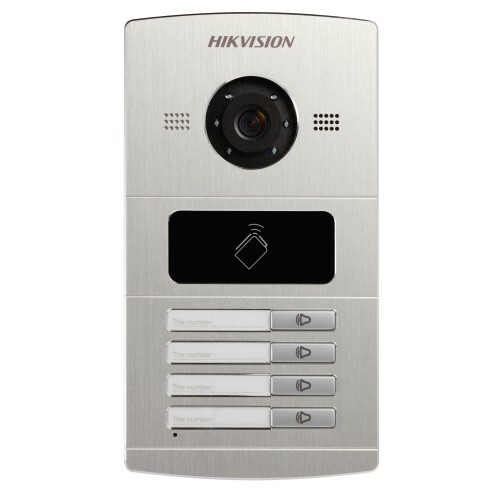 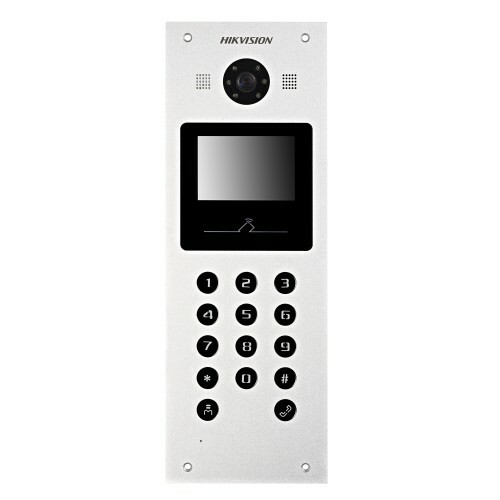 The DS-KV8202-IM is an outdoor Two Family door intercom station designed to control entrance/exit to and from one room with either a button or card reader. 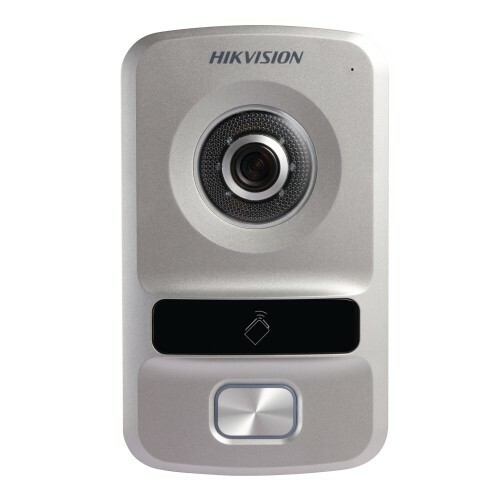 This station comes with a camera to provide video from outside directly to an indoor tablet. 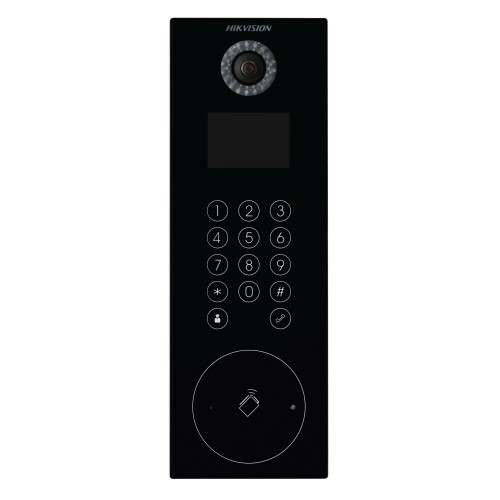 Communication between the DS-KV8202-IM and an indoor station is easy with a built-in microphone and speaker that uses noise suppression and echo cancellation for a clear sound.